Welcome to Jose Acosta Style New Website! 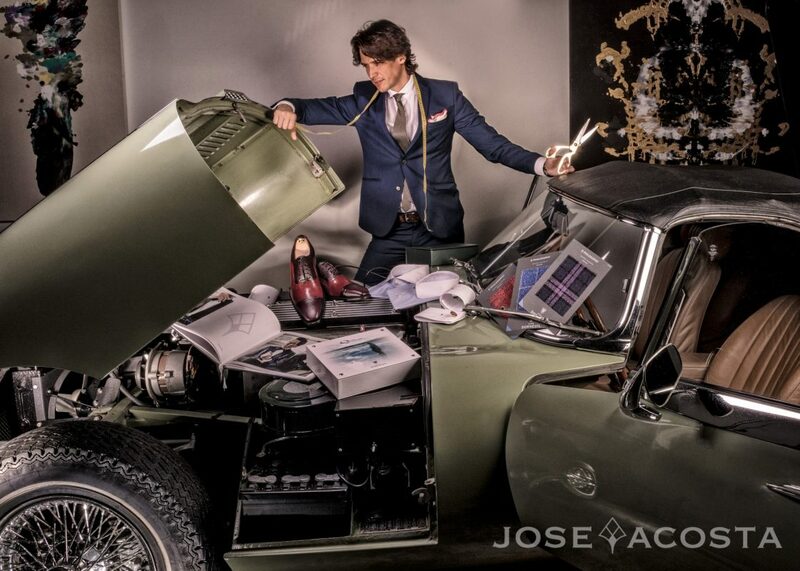 The new Jose Acosta site is live! Jose Acosta, described as the Latin Tom Ford, has opened his new studio in Miami Florida! Originally heralding from Tenerife, Jose Acosta earned his fashion pin stripes in the upper echelons of the Milan and Paris fashion consortium. Working closely with trendsetters such as Giorgio Armani and Pierre Cardin, Jose learned the intricacies of fine tailoring. From there, his journey took him to Beijing, where he set the benchmark for stylistic flare with a respect for a classic aesthetic. Beijing treated him well, and he gained a following in the city for his sleek Spanish designs. His suits were featured in Cosmopolitan and GQ as well as several Chinese movie productions. Yet Jose has always chased the American dream and yearned to bring his styles across the pond. Finally, He has arrived in Miami and quickly gained the attention of East Coast tastemakers. Take a browse, order a consultation, (remote and onsite are available) and maybe you too will fall in love with a Jose Acosta suit. This entry was posted in Lifestyle, Style, Trends and tagged armani, bespoke, cool, dapper, fashion, GQ, joseacostastyle, made in Italy, magazine, Milan, Paris, pierrecardin, style, suit.